The third leg of the bourgeoning Nuclear Triad of India is of great significance. 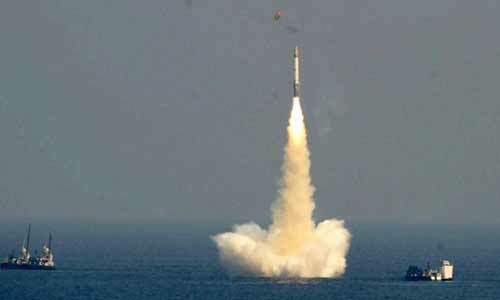 In any event, the first strike takes out India’s land-based ballistic nuclear missiles and strategic aviation, then the Indian Navy’s Arihant lurking in the ocean depths to avoid and launch an ambush and retaliatory strikes will render the attacking country unfit for human life. The austerity of the idea of placing a nuclear deterrent on submarines emerged in the 1950s, as the United States and the USSR explored different avenues with arming diesel-electric boats with basic cruise and ballistic missiles. India has maintained a strong nuclear force to ward off any possible misadventure; India too has built a formidable arsenal including nuclear weapons. As indicated by the most recent information by Stockholm International Peace Research Institute (SIPRI) an international think tank on conflict, armaments, arms control and disarmament, India has burned through $63.9 billion on its defense forces in 2017, an increase of 5.5 percent compared with 2016. The Indian Navy too has the indigenously built nuclear submarine INS Arihant which carries nuclear-tipped missiles, giving India an assured second strike capability only if the nuclear submarine is operational. As per the Indian avowals, the nuclear submarine is equipped with the K-15 (Sagarika) and K-4 missiles. The Sagarika missile has a range of 750km to 1,500km and can carry a warhead of 1 tons; the K-4 is a much bigger missile having a range of 3,500km with a warhead capacity of 2.5 tonnes. INS Arihant is the first indigenously built submersible nuclear submarine with assistance from the Russian technology and designers. The accident not only underscores the professional incapability of the Indian Navy but also speaks volume of the widespread failure in intelligence and the respective checks and balances in place. It additionally implies that military is not keeping the civilian government on the up and up which is against India’s declared operating procedures.